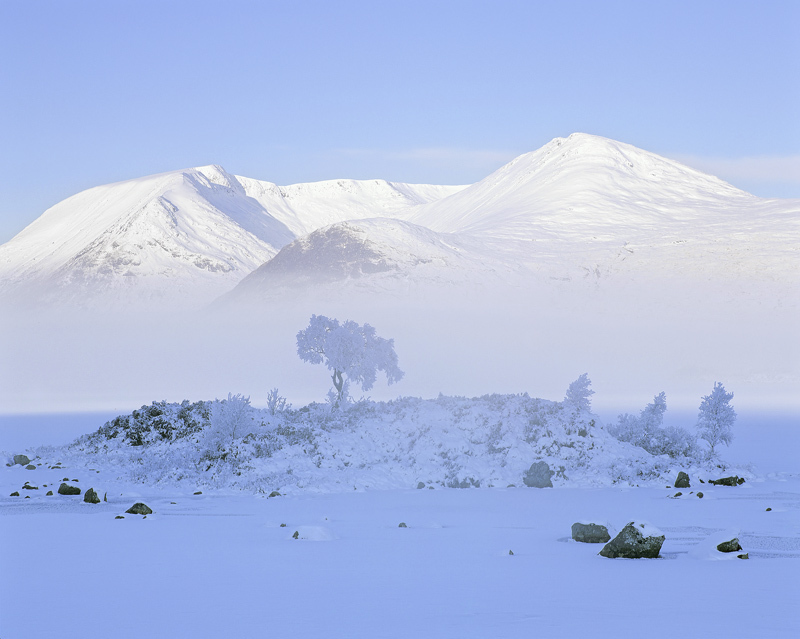 Snow and ice are often found on Rannoch moor even though the foot of the glen is often devoid of the white stuff. On this occasion there was so much snow that even parking had become a problem. For the record this is the last time I saw the island tree on Rannoch moor alive and I love the way it stands out like a grey shadow against the snow capped peaks of the Blackmount a ribbon of pure blue sky above and blue shaded snow and ice below courtesy of that very same sky.